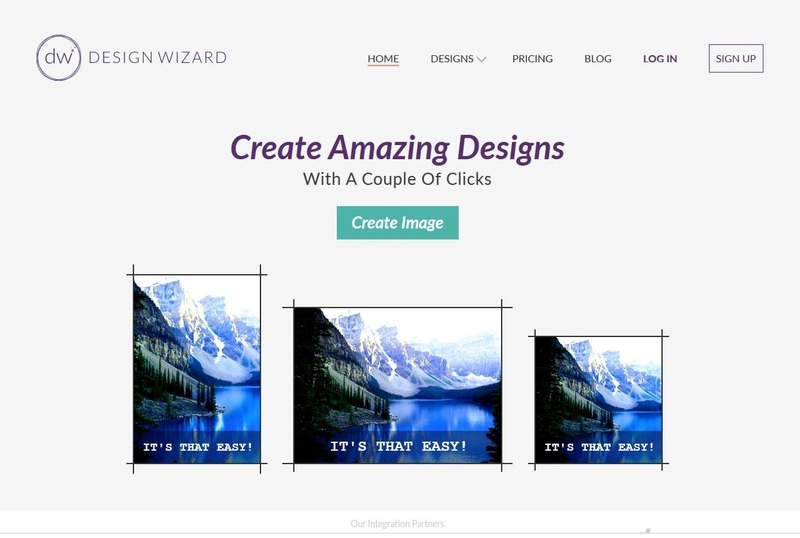 Design Wizard is a great new graphic design tool which allows you to personalize an image in seconds. It has over 1 million images in its library and thousands of template designs. Perhaps one of its best features is the magic resize button, which allows you to change the template size quickly while you are creating an image. It also has great integrations with Hubspot, Marketo, Buffer and Intercom. There’s nothing more of a pain than trying to create good images for your campaign. It seems like a magical art that only a few people seem to understand and those people… cost a lot of money. As a campaign in today’s environment, you will need to have optimized photos for all social media outlets, blog, flyers, and anything else that could possible come at you. This is where canva.com come in. Their slogan is “Amazingly Simple Graphics” and they aren’t kidding. From their drag and drop creation tool to their simple, pre-built templates, Canva will solve all of your graphic design problems. Canva makes it easy to create graphics for your different social media platforms by giving you customized image sizes to choose from before you create your graphic. Canva allows you to upload any picture you have to their system and then edit it by adding filters, text, and objects. Most of the items are free, but there are some premium additions at $1 a piece. This sounds simple, but the number of applications is astounding. And if it doesn’t sound simple, no worries, they have a free design school that will teach you how to use colors, objects, images, sizing, and every other graphics design knowledge that you could ever want. And, if you can’t seem to get the right picture and you see that Canva provides one that you absolutely want to use, that element is only $1 to purchase. After that, you have the rights to use it where you please. The same goes with all the other objects, icons, and text that you find. Vectr – free vector graphics editor for web and all desktop platforms: Mac, Windows, Linux, Chromebook. It’s a really intuitive tool to create any kind of 2D graphics: logotypes, UI mockups, illustrations, watermarks etc. Vectr is also collaborative: you can share your designs via unique URL or directly to social media. Vectr has a very accessible and understandable user interface, featuring all the powerful vector graphics tools: path tool, freehand drawing tool, text and custom shapes. If you’re just getting your feet wet with graphic design, Vectr’s team has prepared a bunch of great vector graphics design tutorials for you.